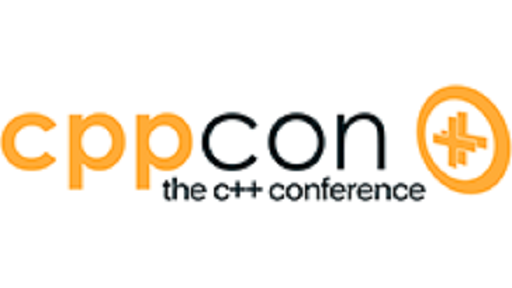 C++ is a programming language with a long, storied history spanning over three decades--four if one includes its C ancestry. 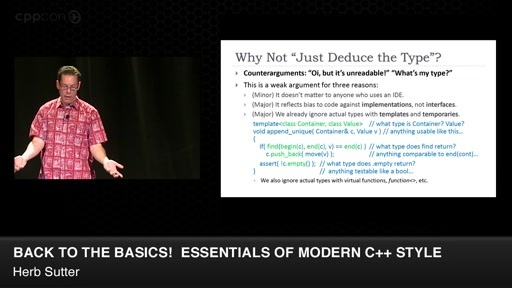 The C++ language has undergone many changes during that time, compiler technology has advanced substantially, and computers today are very different from the computers of decades past. But despite all of these advances, there's an awful lot of C++ code in use today that looks like it was written in the 1980s. In some cases, the code was written in the 1980s and it's still in use; in other cases, it's recently-written code that just doesn't use modern style. 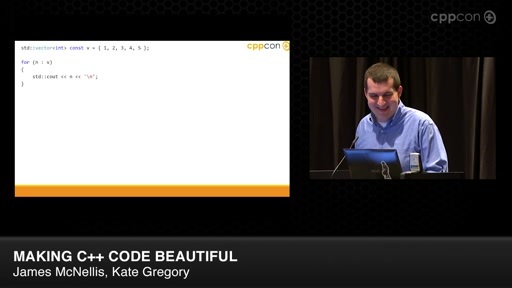 In this talk, we'll discuss some of the problems with legacy code, and review some practical techniques for applying principles of modern C++ to gradually improve the quality of legacy code and improve maintainability and debuggability. 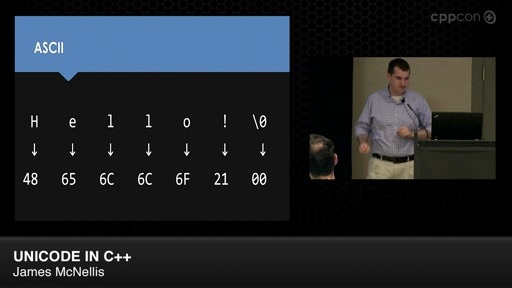 We'll show how some very small changes to code can yield huge benefits. 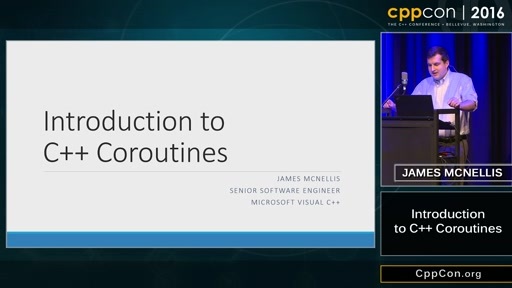 James McNellis is a senior engineer on the Microsoft Visual C++ team, where he is responsible for the Visual C++ C Runtime (CRT) and C Standard Library implementation. 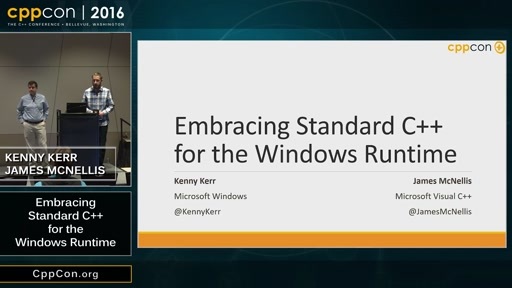 He was previously a member of the Microsoft Expression Blend team, developing the XAML designer tools for Windows 8 apps. Prior to joining Microsoft in 2010, he spent several years working on real-time 3-D simulation and robotics projects in the defense industry. 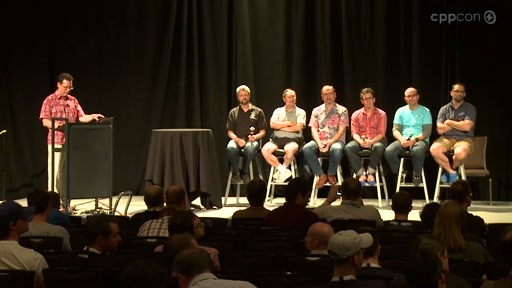 James is a prolific contributor on the Stack Overflow programming Q&A website and occasionally writes for the Visual C++ Team Blog. He tweets at @JamesMcNellis and can be found elsewhere online via http://www.jamesmcnellis.com. 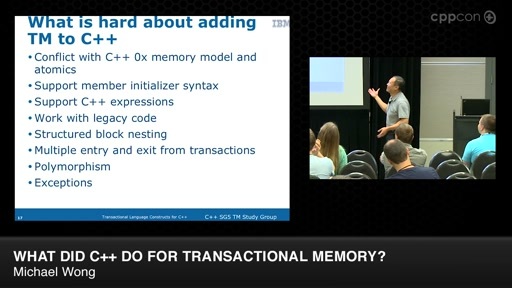 What did C++ do for Transactional Memory? 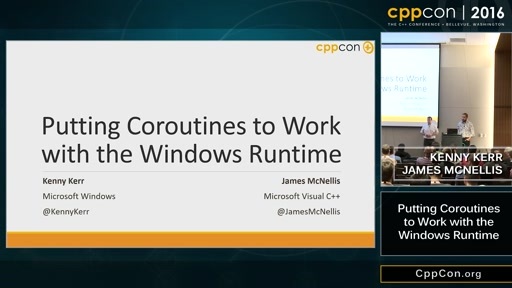 CppCon 2016: James McNellis “Introduction to C++ Coroutines"
CppCon 2016: Kenny Kerr & James McNellis “Embracing Standard C++ for the Windows Runtime"